The active substance azithromycin belongs to the antibiotics from the group of macrolides and is mainly used for bacterial infections of the upper and lower respiratory tract. Unlike other macrolide antibiotics, azithromycin seems unlikely to interact with CYP450. Because of its long half-life, the drug usually only needs to be taken once a day for three days. It is available on RXShopMD.com. Azithromycin is used in bacterial infections of the lower and upper respiratory tract such as pneumonia, pharyngitis, bronchitis, sinusitis and tonsillitis. The active ingredient is also used for skin, wound and chlamydia infections, as well as for Legionnaire’s disease and middle ear infections. Azithromycin is an antibiotic from the group of macrolides. The drug interferes with the cell division processes of the bacteria by binding to the 50 S ribosomal subunit, preventing translocation of the peptide chains. After oral administration, the bioavailability of azithromycin is approximately 37 percent. Two to three hours after oral intake, the maximum plasma concentration is reached. Azithromycin is distributed over the entire body after oral administration. In the tissues, higher concentrations of azithromycin are reached than in the plasma, indicating that the substance is strongly bound in the tissue. At recommended dosage there is no accumulation in serum or plasma. Accumulation occurs in the tissues where the concentration is much higher than in serum or plasma. The terminal plasma elimination half-life corresponds to the elimination half-life from the tissue of 2 to 4 days. About 12 percent of an intravenous dose is eliminated renally in unchanged form over a period of 3 days; The largest amount within the first 24 hours. Furthermore, azithromycin can prolong the QTc interval. Azithromycin has no significant interaction with the cytochrome P450 system. Therefore, pharmacokinetic interactions, as known by erythromycin and other macrolides, are not expected for azithromycin. 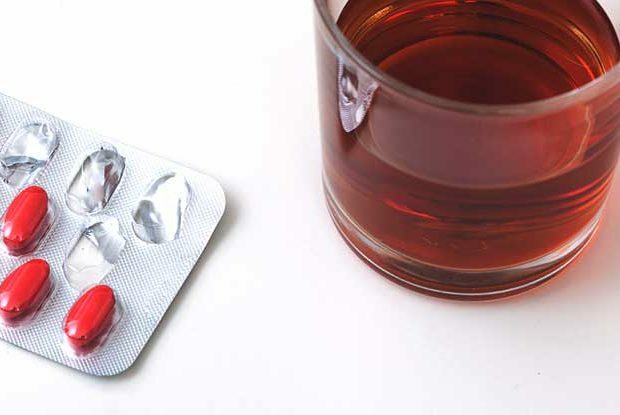 Azithromycin should be taken at least 1 hour before or 2 hours after the antacid. When used concomitantly with P-glycoprotein substrates such as digoxin, the possibility of higher serum concentrations of the substrates must be considered. Single doses of 1,000 mg and multiple doses of 1,200 mg or 600 mg azithromycin have had little effect on the pharmacokinetics of zidovudineor its glucuronide metabolite in plasma or urinary excretion. However, use of azithromycin in peripheral blood mononuclear cells has resulted in elevated levels of phosphorylated zidovudine (clinically active metabolite). The clinical significance of this observation is unclear, but may be useful to the patient. Because of the theoretical possibility of ergotism, the concomitant use of ergotamine derivatives and azithromycin is not recommended. Cases have been described since market introduction in which anticoagulation has been increased with co-administration of azithromycin and coumarin-type oral anticoagulants. Although there seems to be no causal relationship, the frequency of determining the prothrombin time should be reconsidered. When used concomitantly, the Cmax and AUC of ciclosporin can besignificantly increased. If combination therapy is necessary, ciclosporin levels should be carefully monitored and dose adjusted accordingly. Since in rare cases the possibility of an interaction could not be completely ruled out, azithromycin in combination with terfenadine should be usedwith caution. Co-administrationof cisapride may induce enhancement of QT prolongation, ventricular arrhythmias, and torsade de pointes. Concomitant use of astemizoleor alfentanil with azithromycin should be used with caution as co-administration with the macrolide antibiotic erythromycin has been reported to enhance its effects.